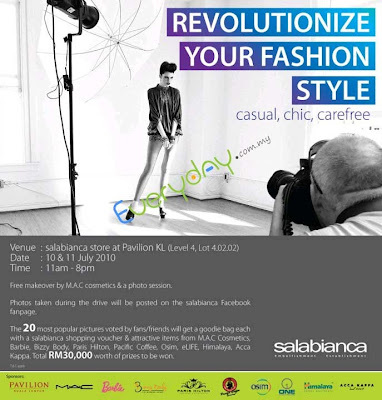 Introduce a friend to classy, cool, casual chic styles at Salabianca! 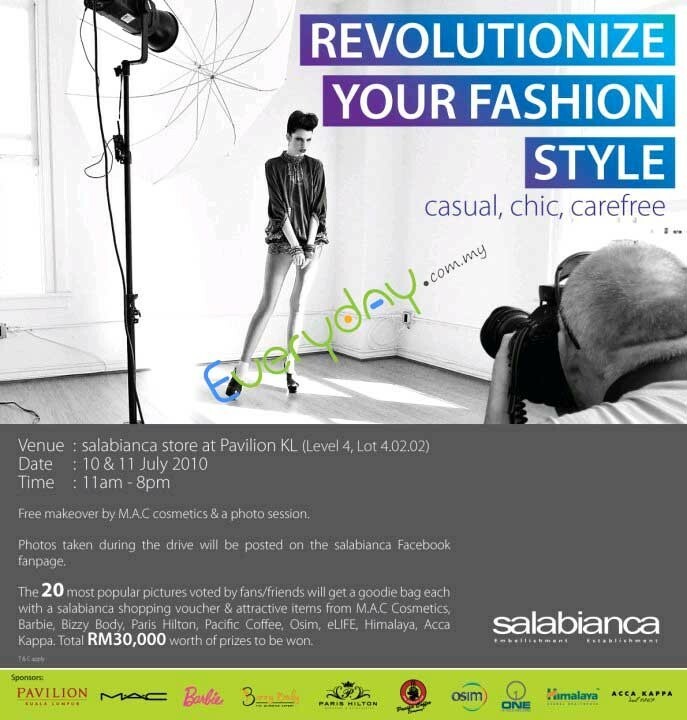 Bring a friend over to salabianca Pavilion KL on 10 & 11 July from 11am-8pm to have a free makeover by M.A.C cosmetics & a photo session. Spread the love! Mark down the dates & share this unique experience! * This event is only open to FANS of the Salabianca Facebook fanpage ages 15 and above. Facilities will be available for non-fans to join on the spot at the event venue. Sponsored prizes are subject to terms & conditions as stipulated by participating sponsors. For more info visit us on Facebook and become a fan of salabianca. Click here to be Salabianca Facebook fans !